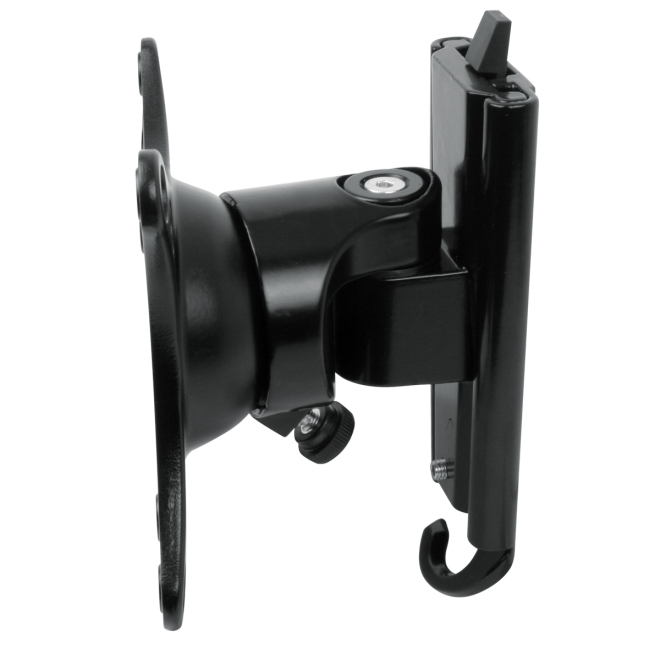 The ARCTIC W1A is a single pivot 3 axis articulation bracket mount, offers smooth adjustable screen angle with 360° rotation, 60° swivel and ±15°tilt. The ball joint design gives the flexibility to perfectly position your monitor to reduce eye, neck, shoulder and back strain. It mounts closely to the wall and maximise your work area. 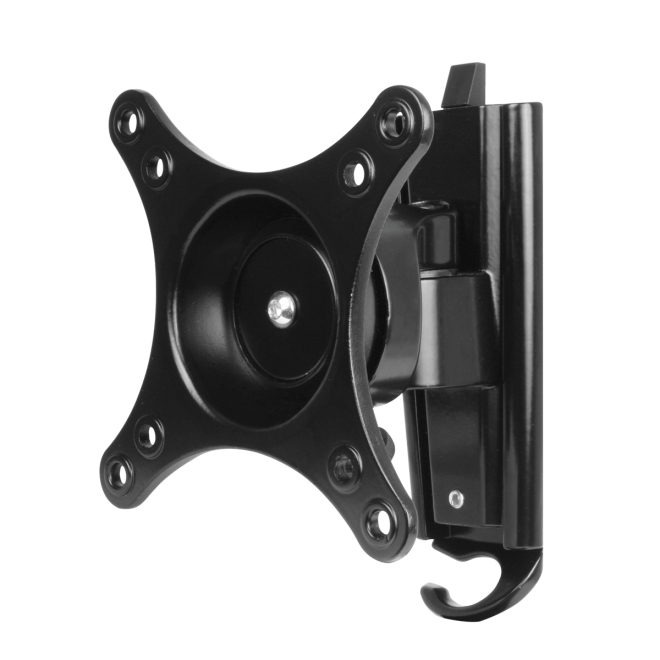 Compatible with monitors from 13" to 30", the two-piece direct mounting system allows quick installation and support up to 20 kg in weight. 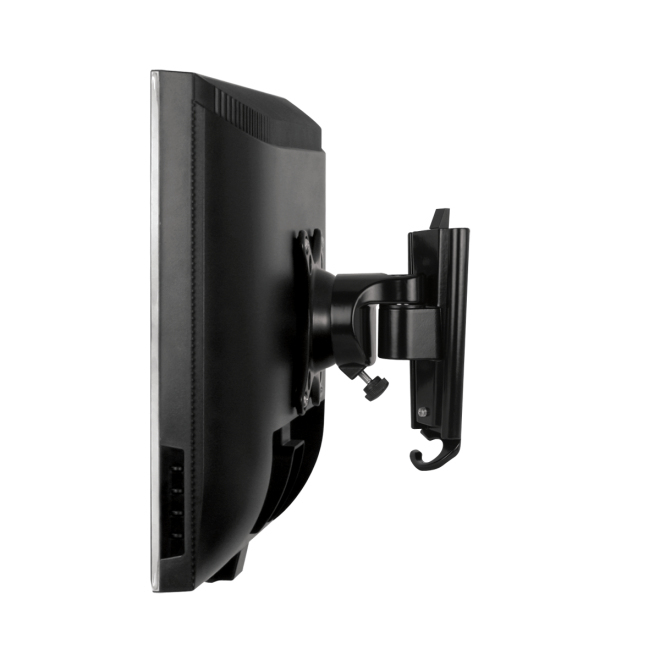 The monitor close-wall mount system takes the least space on your desk and thus maximises your work area. 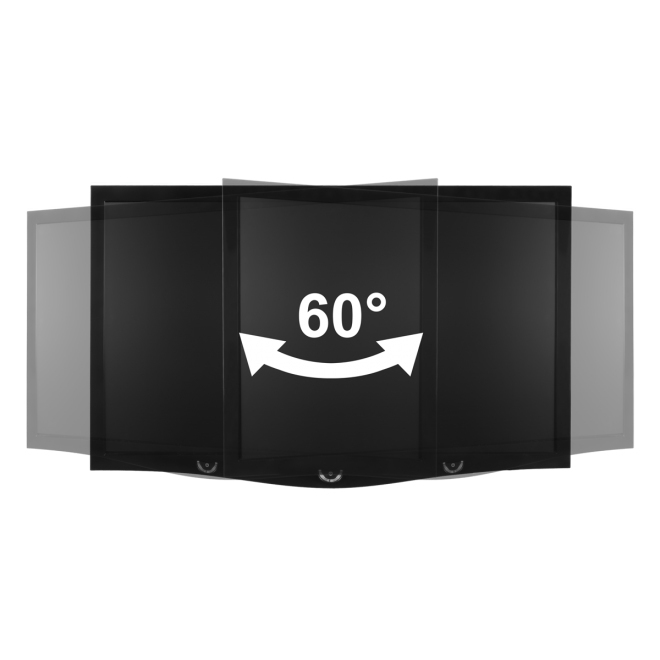 It is also an ideal solution for touch screen applications. 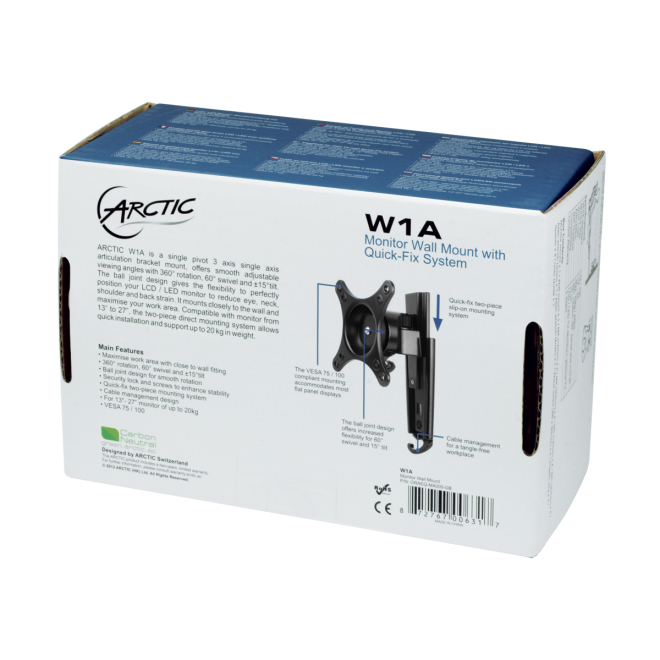 The ARCTIC W1A wall-mount is integrated with a smooth ball-joint design, which delivers the most flexibly adjustable screen angle with 360° rotation, 60° left-right swivel and 15° afterward and backward tilt. The ball joint design allows easy finger adjustment, giving the flexibility to adjust your monitor to a perfect position, hence prevent undue eye, neck, shoulder and back strain with optimal viewing position. 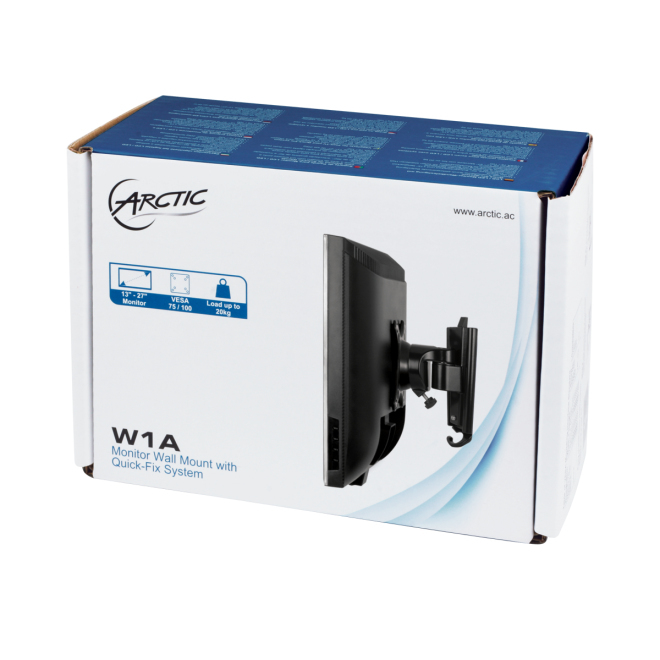 The ARCTIC W1A ensures a secure mounting system to your monitor. 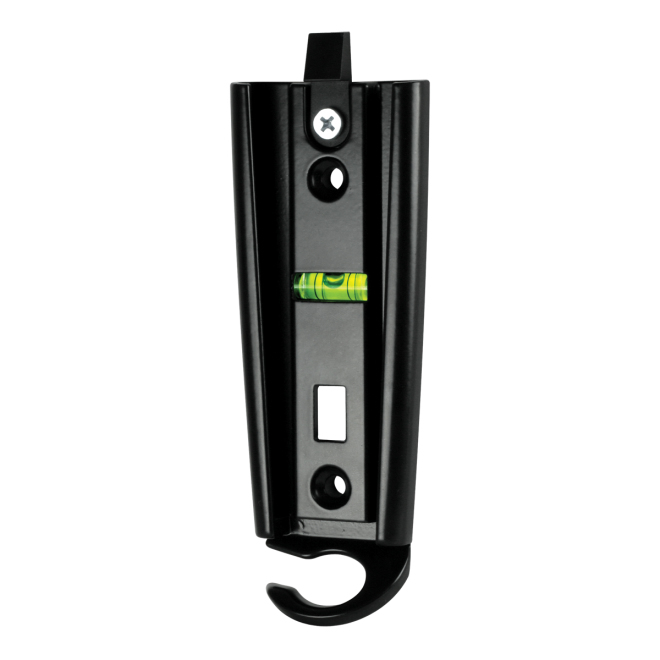 Equipped with security lock and two screw-lock system to prevent slipping and enhance stability. 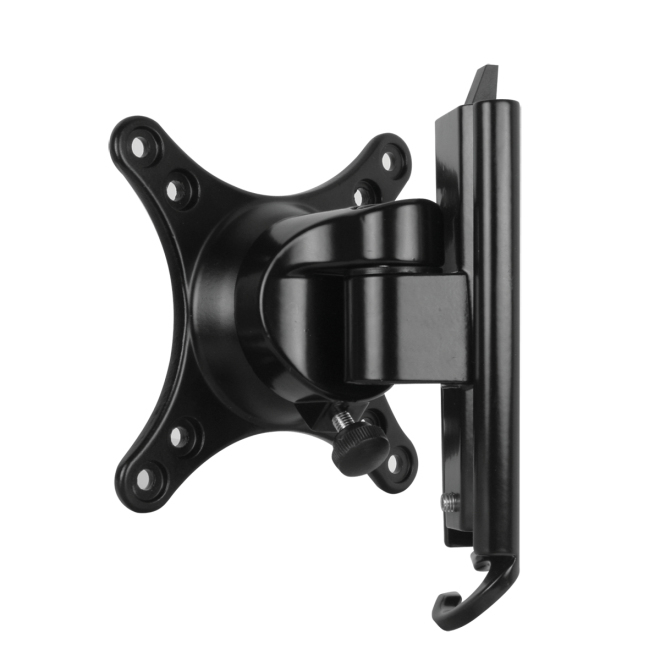 The 2 –pieces direct mount system is designed for quick and easy installation. 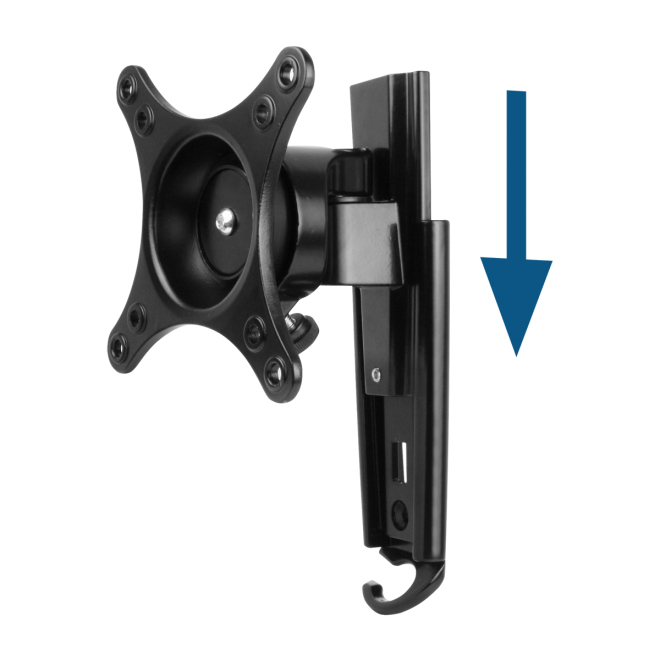 Simply Screw the mounting on your wall and monitor, assemble by slide it in the mounting rail. The simple design cable management hook keeps your cable neatly together behind your monitor. 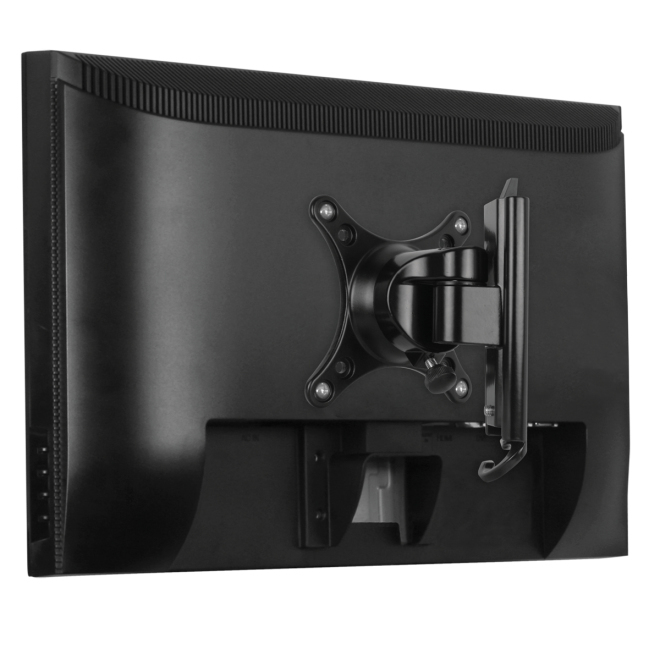 With the VESA 75 x 75 / 100 x 100 compliant mounting brackets, it is designed for monitors from 13" to 30" with up to 20kg of weight. 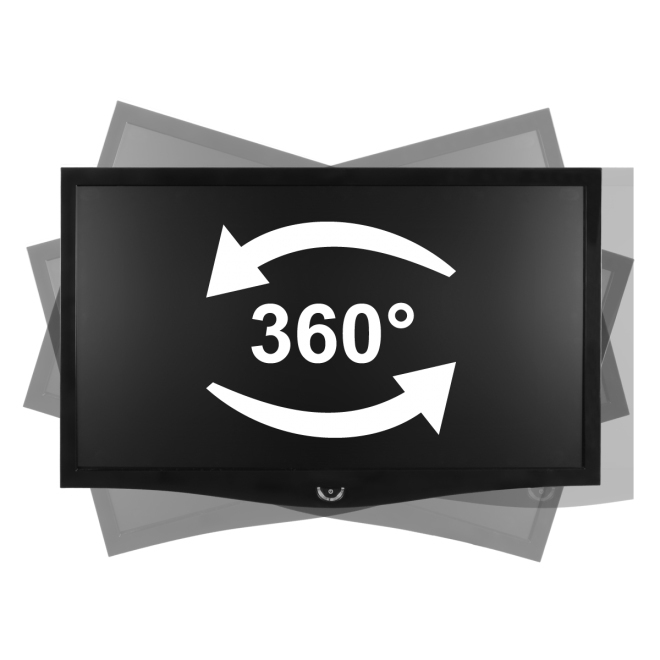 Compatible with all popular desktop monitor such as LG, Viewsonic, HP, NEC, AOC and Dell. Minimum screen size compatibility 13"